Up for discussion was which conditions or histories among women seeking a home birth with a Licensed Midwife (LM) should be required to obtain physician approval. 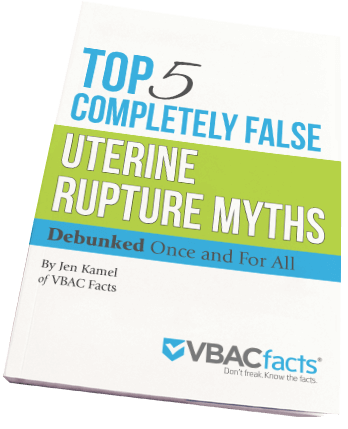 A prior cesarean was on the list of over 60 conditions or histories and home VBAC was the one subject that generated the most comment and discussion that day. What does AB1308 mean in terms of home VBAC in California? AB 1308 went into effect on 1/1/14, but there is nothing in the new legislation that says LMs cannot do VBACs. Until the new regulations are written LMs should continue to follow their current regulations which only require LMs to provide certain disclosures and informed consent to clients. Please let the community know that if they want to have a say in whether or not VBACs with California LMs require a physician consultation, they should come to the Interested Parties meeting that the medical board will be holding and tell the board how they feel about it. The medical board is a consumer protection agency, so they need to hear what consumers want to be protected from. We will let you know as soon as the meeting is scheduled. [Ms. Rock-Stillman responds when questioned by those who have not been involved it the creation of this legislation yet insist this legislation removes the option of home VBAC entirely:]I’m in my third year as president of the California Association of Midwives, and I’m a practicing Licensed Midwife. I have been at every Midwifery Advisory Counsel meeting and at the Capitol 30 times last year. I’ve spoken in legislative committee hearings. I’ve sat in weekly meetings with CAM’s legal counsel who worked side-by-side with us on the legislation. I’ve been in Assemblywoman Susan Bonilla’s boardroom with ACOG and at every one of the public events where Susan Bonilla promised that the LMs would still be able to do VBACs. So I think I qualify as a knowledgeable stakeholder in this issue. Yes, we intentionally left VBAC out of the list of prohibited conditions, so at this point there is no question as to whether or not we can do VBACs. The only part that’s in question is whether or not all VBACs will require physician consultation. Regulations that clarify under what circumstances physician consultation will be required will be written by the California Medical Board. This is a process that takes time. Maybe even a year or more. The regulations that will be adopted will be based on evidence and input from all the stakeholders. This is why I think it’s so important that midwives and consumers be at the meetings to insure their voices get heard. At the last Interested Parties meeting that the medical board held, I asked what we were suppose to do until the new regulations are written and we were told that we should follow our current regulations and our community standards until new regulations are adopted. My intention in attending the October 15, 2014 meeting was to amplify the voice of the consumer. I think sometimes it’s difficult for OBs who attend VBACs, or for those who live in communities where they have access to hospitals that attend VBAC, to understand that not everyone lives in that world. Some live in a world where if they want a VBAC in a hospital with a supportive midwife or doctor who takes their insurance, that means driving over 50 miles each way for prenatal care and delivery while they literally drive by other facilities that offer labor and delivery, but ban VBAC. Or it means acquiescing to a unnecessary repeat cesarean whose risks compound with every surgery. Or it means planning an unassisted birth which comes with its own set of risks. This is a tremendous burden. As VBAC and repeat cesarean both carry risks and benefits, and women are the ones who bear and endure those risks, they should be the ones who choose which mode of delivery is acceptable to them. I celebrate when women have access to supportive hospital-based practitioners. But the reality is, many women do not enjoy that privilege and yet they still wish to avoid the serious complications that come with each cesarean surgery. Other people in the room included the Senior Staff Counsel of the Medical Board, an OB-GYN representing ACOG, an ACOG lobbyist, Constance Rock-Stillman along with many other CAM representatives and midwives, California Families for Access to Midwives, a few other consumers, and me. Senior Staff Counsel was tasked with writing these regulations and as the meeting progressed, items were reworded or removed from the list. Only having five minutes to speak means that as soon as you take your seat, adjust the microphone, and look into the eyes of Medical Board, you have to establish yourself as a credible source. And then you start to speak. You have to be clear and concise with an unwavering voice. The Medical Board is your captive audience and you need to use every second weaving the facts with the personal experiences of mothers, midwives, and doctors so you can convey the whole story. Often Medical Boards are not well versed on Licensed Midwives, home birth, and the politics of VBAC, so there is a lot of education that has to quickly happen in a few short minutes. You must maximize your time and, while talking at a normal pace, swiftly move from fact to fact continually highlighting yet another piece of evidence that supports your case. Those that sit on Medical Boards often have access to whatever medical care they need. So sharing the challenges real families throughout the state face when trying to obtain a VBAC is crucial. With all those factors in mind, I focused on the importance of VBAC access, the politics of hospital VBAC, and the public health implications if families can’t access VBAC. Throughout my entire presentation, I emphasized how increasing VBAC access was aligned with the mission of the Medical Board: to protect consumers. It was quite challenging to adequately convey these key points in such a brief format. But as I looked into the eyes of each board member during my presentation, I felt heard. I knew they were receiving the message I intended and that all the hard work that went into preparing for that day made a difference. Legislative consulting is yet another way that I serve the mission of VBAC Facts. To schedule a legislative consulting call, please click here. Jen, you are a powerhouse! Thank you for all you do and standing up to ACOG. It is so so lovely to find ACOG reps rendered speechless by “just women.” Saw you in action at the MBC Interested Parties Meeting. A fascinating read! I knew all these facts but you put it all together so well. God bless you Jen!